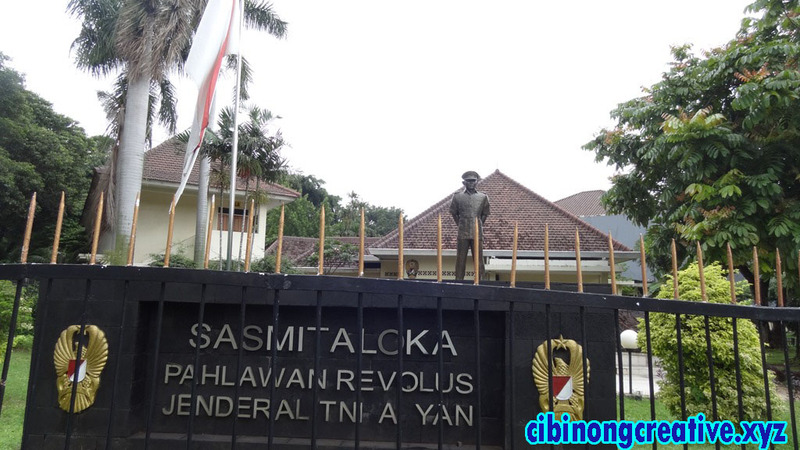 Ahmad Yani Sasmita Loka Museum is one of the national heroes museum located on the road Lembang No. 58 and the Laruharhari No. 65, Central Jakarta, Jakarta, Indonesia. The museum is open to the public from Tuesday to Sunday, from 08:00 to 14:00 pm. Every Monday the museum is closed to the public. Built around 1930 - 1940 when the development of the region and Gondangdia Menteng, the original building was used as a private dwelling house airline official Dutch / Europe . In the 1950s managed by the Housing Department of the Army, then inhabited by Lt. Gen. Ahmad Yani as high ranking officers of the army with the last position of the Minister / Commander of the Army of Republic of Indonesia. This house became a historic place because Lt. Gen. A. Yani killed and abducted by a gang of the Communist Party of Indonesia on September 30, 1965 which became known as The Movement uprising events of October, before finally now converted into a museum.